Fresh from re-reading Eckhardt Tolle, I invited him to see if he could hear that voice of dread, but not identify with it. “See if you can hear the anxiety, but don’t get on the side of it, arguing against yourself. See if you can just hear it, but not have to get carried away by it.” I told him how Tolle talks about “putting a little space” in there between your thoughts and your response to them. I told him I was feeling the same pressure about a big lecture I’m giving on Thursday. Time and again, I worry about these things (I was singing his song now, but with a little different sound, a little twist, a high harmony). I told him that I still worry, and then I pull it off — not perfectly, but well. Just as he pulls off his homework every Sunday. He nodded….as if he were now a different person. Reflecting later, I was reminded of an interview where Livingston Taylor talks about his brother James’ under-appreciated guitar-playing. Livingston, a professor at Berklee School of Music, talked about how James creates rhythm, working the pauses and rests as much as the notes themselves. 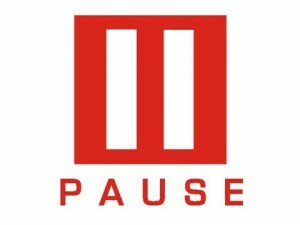 That in turn reminded me of how my friend John Burkhardt teared up as he played Handel’s Messiah for me, and said, “listen, listen for the pause” — the pause before the great Amen. He seemed transported by that space. I asked Jack, “Does it help you to think of putting some space in there?” And he said, “Yes.” And added as he swiveled his feet to the floor, “And it always feels better to be doing something instead of just thinking about it.” Pause.